Parents play a major role in stimulating developing minds and building literacy skills and children who read aloud with their parents reap numerous benefits. But for children and parents who are physically separated, it is difficult to read aloud together and build bonds around books. 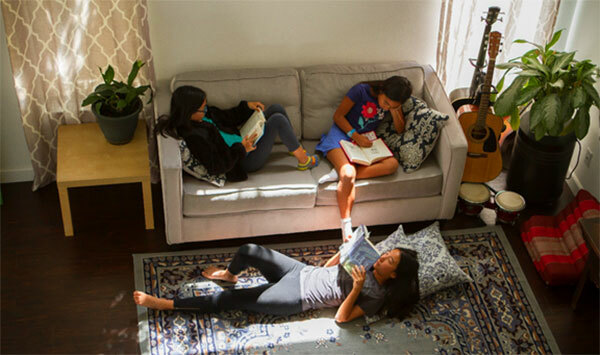 Our friends at United Through Reading share how establishing reading routines help support summer reading, particularly for those families who face the challenge of military deployment. Although summer means fun in the sun for many families, it also presents a seasonal challenge to educators and parents trying to prevent the "summer slide" — a time when kids run the risk of losing the valuable information they learned during the school year. Parents all over the country try to combat this problem and many struggle to keep their children engaged during summer break. For military parents, summer learning loss becomes an even greater challenge when one parent is deployed and the other is left to be the sole champion of summertime education. It all starts with establishing and maintaining routines as a family. Making reading time a priority in the home encourages good reading habits in children and leads to a greater interest in books and literacy, which can make summer reading a bit easier on parents. As most parents know, helping kids form positive habits doesn’t happen overnight. However, connecting reading with another special experience can aid engagement. For military children, this transformation starts with one video, one book, and one very special memory. United Through Reading (UTR) is a nonprofit that connects families through the read aloud experience and they work to encourage literacy in military children year-round, including during those high-risk months for learning loss during the summer; UTR allows military service members deployed around the world the ability to record themselves reading books aloud on video, and then send the video and book back home for their kids to view and read along. The experience of reading with children goes beyond just the story narration. Reading aloud builds background knowledge, expands vocabulary, and supports comprehension. 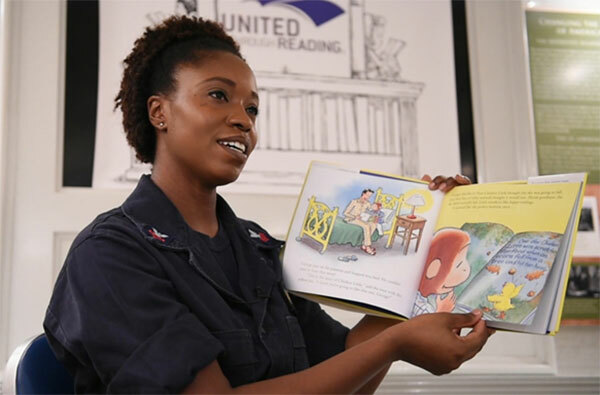 The read-aloud experience provided by United Through Reading allows deployed parents to be active participants, and strong examples, helping to foster a love of reading and supporting the development of critical literacy skills. For many military families, UTR helps take the guesswork out of maintaining reading engagement over the summer, creating a special time to see and hear their parents. Cultivating a love of learning through reading aloud has academic and emotional benefits. In fact, many UTR families notice an increase in their children’s independent reading and love of books with a regular story time in place. No matter the season, UTR is able to ensure that these military families maintain strong bonds. This is no easy task — 100,000 parents deployed annually means military children will experience approximately 180 nights without their deployed parent home for a bedtime story. That translates to nearly 40 million bedtime stories missed. With the goal of delivering 10 million otherwise missed stories in 2017, UTR recently launched the 40 Million Stories campaign. Families all over the nation need to keep their noses in books this summer, continuing to grow kids’ curiously and spark their interest in the wonderful world of reading. Families like the Applens can not only enjoy Airman Eric’s video storytimes again and again, but use them to launch summer learning investigations around cookies and other food or learn about real wild things. What are you doing to stay reading and learning with your family this summer? Visit your library often! Many have free activities & storytellers—a great way to spark reading & imagination! ¡Visiten su biblioteca a menudo! Muchas tienen actividades gratuitas y narradores de cuentos. ¡Es una gran manera de fomentar la lectura y la imaginación!